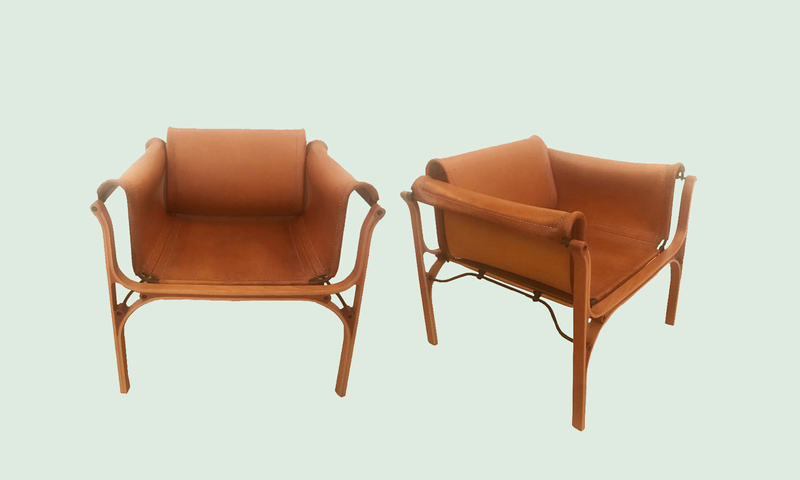 Pair of Bentwood and Saddle Leather Studio Lounge Chairs. 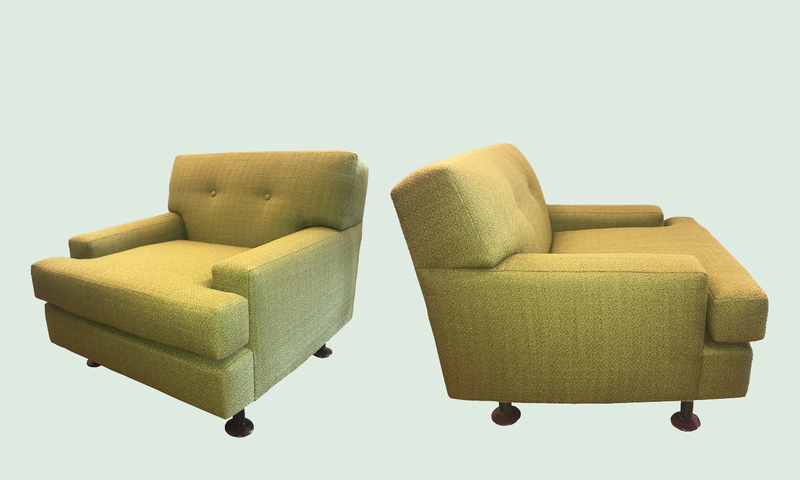 Marco Zanuso "Square" Series Lounge Chairs. 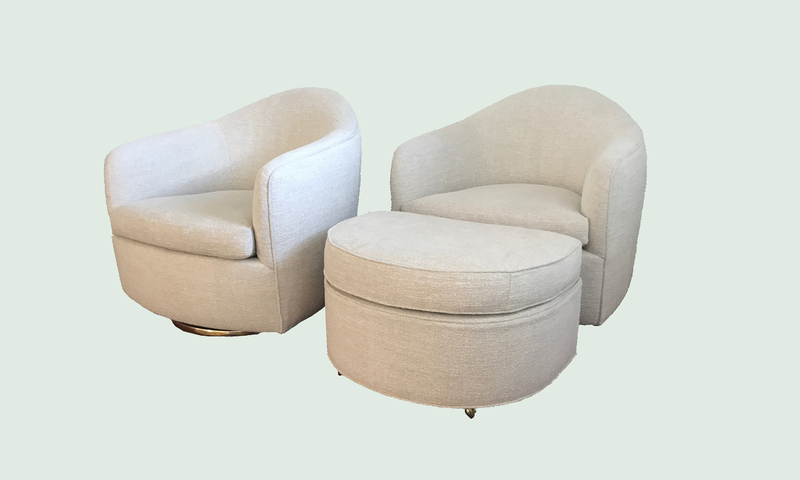 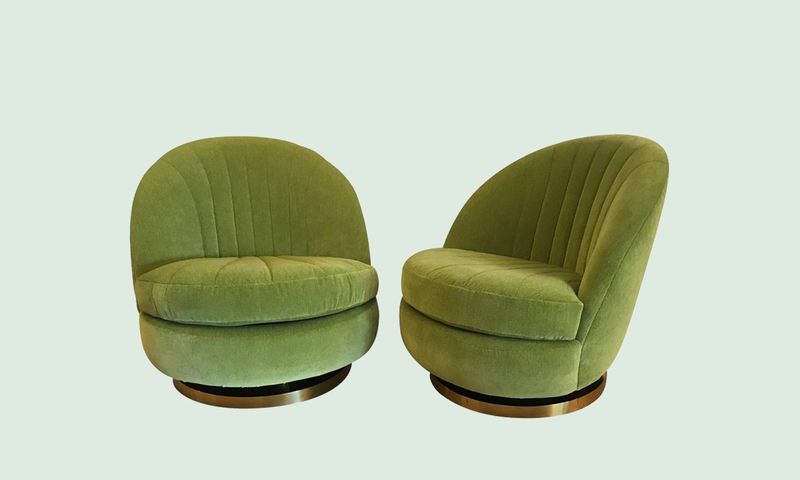 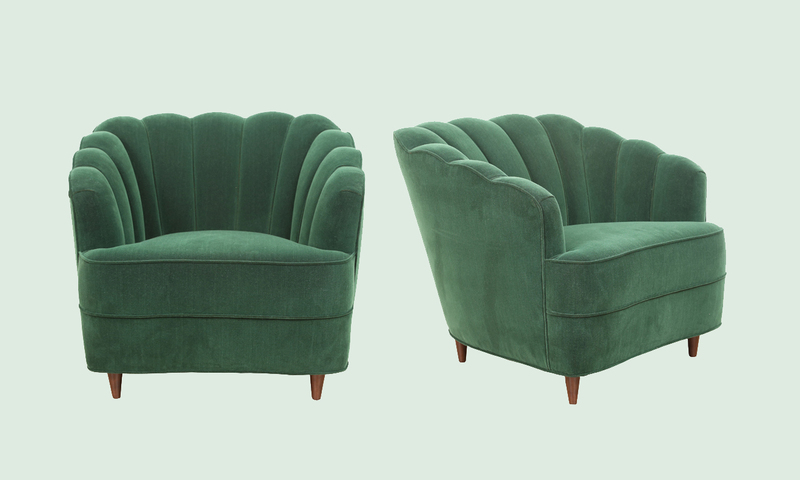 Rare Pair Lounge Chairs by Jacques Adnet.